Here Joshua sent two spies, whose lives a local prostitute named Rahab conspired to save. Days later, city walls fell here after Israel’s army marched around them for seven days. Here, too, Jesus encountered Zaccheus, a diminutive tax-collector who had climbed up a sycamore-fig tree for a better view of the Savior — an unlikely meeting place for a leading financier and a visiting rabbi. The sky this morning is blue above our heads. Looking east we see the Dead Sea and, beyond it, the Plains of Moab. We are walking on the mound, perhaps five acres in size, known as Tell es-Sultan. Beneath our feet lie the remains of Old Testament Jericho — indeed, perhaps as many as 20 layers of village ruins dating back to 6,000 B.C. 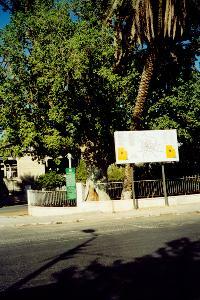 The Jericho of Jesus’ day is about a mile south of here, now known as Tulul Abu El-‘Alayiq. We have ridden approximately 23 bus miles eastward from Jerusalem, to cover 14 miles as the crow flies. In the process, we descended 3,300 feet, through terrain once infested by bandits such as those featured in Jesus’ parable of the Good Samaritan (Lk. 10:30-37). The builder-king Herod the Great palaced here during Palestinian winters, where the average temperature ranged 20-30 degrees warmer than Jerusalem’s, lounging in opulent residences, gardens and baths patterned after those in Rome. In ancient times, this strategic city guarded the southeastern entrance to the lowlands of Palestine. Here Joshua sent two spies, whose lives a local prostitute named Rahab conspired to save (Josh. 2). City walls fell here after Israel’s army marched around them for seven days (Josh. 6). This area is known for earthquakes and faults — perhaps the miracle was one of divine timing. Here Achan coveted, then stole and hid, the expensive spoils of war, at a horrible cost to his family and to all of Israel (Josh. 7). 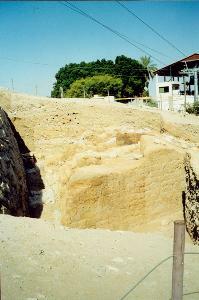 Jericho flourished in David’s day, which scholars say was 300-500 years later. Elijah ascended to heaven near here, in a whirlwind and a chariot of fire, and his successor Elisha returned to Jericho after that event (2 Kings 2:15-22). A busy site in Ahaz’s day (2 Chron. 28:15), Jericho later saw Nebuchadnezzar’s capture of fleeing King Zedekiah during the Babylonian conquest of the kingdom of Judah (2 Kings 25:5; Jer. 39:4-6; 52:8-11). Six centuries later and a mile from where we stand, Jesus Christ taught great crowds of Jericho’s residents. 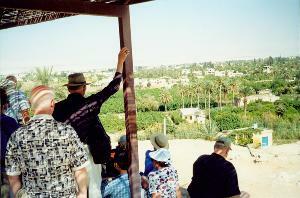 One Spring day, almost 2,000 years ago, Jesus healed two blind men in this city, one of them named Bar-Timaeus (Matt. 20:29-34; Mk. 10:46-52; Lk. 18:35-43). Here, too, Jesus encountered Zaccheus, a diminutive tax-collector who had climbed up a sycamore-fig tree for a better view of the Savior — an unlikely meeting place for a leading financier and a visiting rabbi (Lk. 19:1-10). Jericho prompts memories of biblical stories from Joshua to Jesus, whose names in Hebrew are both “Yeshua.” These stories flood our minds today as our pilgrimage in the Holy Land goes on.